This week a mind bending almost internet crashing phenomenon has taken place globally. The best part about it was that it was relevant to "fashion". Although you have already seen tons of posts about this black & blue or white & gold dress issue, it would be a shame for the Fashion Blog to not report on the dress. 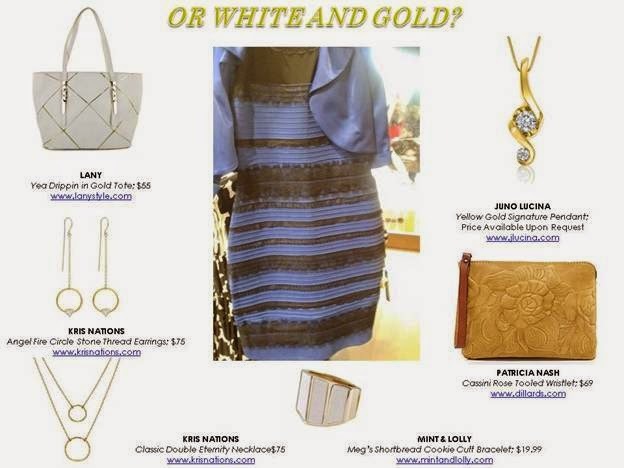 It’s the dress that just might actually crash the internet…or maybe just your Facebook feed. Whether you see it as black & blue or white & gold, there’s no debate that there are plenty of ways to style it with accessories from LANY, Mint & Lolly, Kris Nations and more. The fact is that we are not very concerned with your opinion regarding the color of the dress. Our question is, "what would you wear with the dress?" 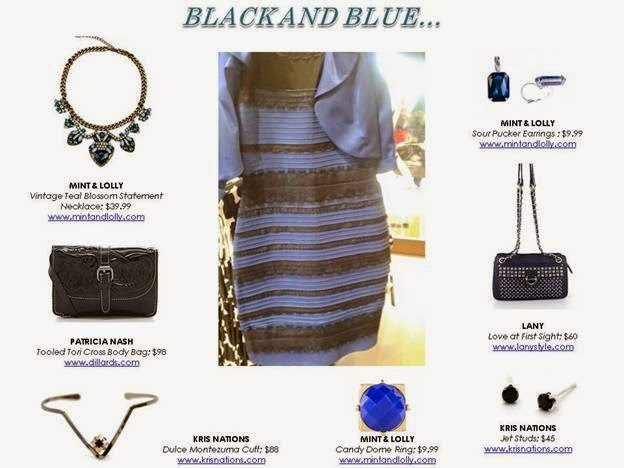 Learn more about the Black & Blue or White & Gold dress on Google+. I almost hate to ask you this question, but do you think the dress is black & blue or white & gold? By the way, this all started On Thursday February 26, 2015, a user going by the name of Swiked posted a photo of a striped dress to Tumblr, which was then picked up by BuzzFeed. "Guys please help me — is this dress white and gold, or blue and black? Me and my friends can’t agree and we are freaking the (curse word here) out." You may want to read more about the confusing color of this dress on Wired. Learn more at Wired and other sources of information on the net. Pretty bold statement, but these days fashion rules the planet, in more ways than you could imagine or want to. Caring about the environment and dressing like a rockstar should really be able to go hand in hand don’t you think? That’s where ILG comes in, born out of a desire to help the environment, you can think of us as a guide to all things Eco-friendly and fashionable. We know it may come as a surprise to many that fashion is the third most polluting industry in the world. Yes, the fashion industry dictates the style and hairdo of millions, but it also poses a threat to the earth—and that’s where I Love Goldie comes in. At its core, ILoveGoldie is a fashion and lifestyle blog with a conscience. 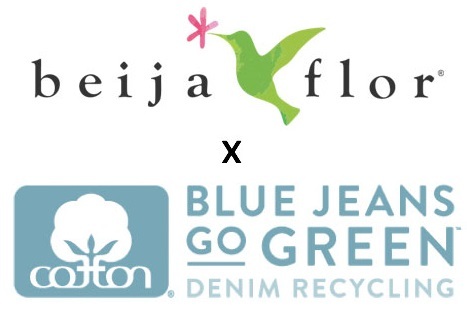 They are launching their new website that they believe will fully reflects their mission to share the latest information on eco-fashion and promote labels and products that cherish the earth, rather than harm it. You can visit their new website tomorrow, February 27, 2015. The European discount chain Lidl is launching its spring/summer fashion collection. Last year, Lidl unveiled a range of women’s clothing which was eagerly purchased by customers anxious to snap up the store’s best bargains. The stores initial foray into the fashion world was apparently a success. The chain since decided to expand the line, delving into men’s trousers, shirts, and jackets. Items from the new collection will be available in Lidl stores nationwide from February 26. In the minds of Lidl, their textiles “shouldn't just appeal to you, but to your skin too”. That is why their quality control team ensures that the materials used have been dermatologically tested and do not contain any harmful substances. They also make sure that the textiles used are comfortable and durable by examining the fit, how well they keep their shape and how they should be washed. Their clothes are also tested for harmful substances by the prestigious test institute Bureau Veritas and Hohenstein Institute. The c-mark stamp certifies that the materials used are kind to your skin. Your wellbeing is important to Lidl, so they have indicated that they make no compromises where quality is concerned. The first Lidl stores were opened in 1973 and by the 1980s Lidl was a household name throughout Germany. During the 1990s Lidl started to open stores outside Germany and today Lidl stores can be found in nearly every country in Europe. Their extensive network of stores in Europe is unmatched in the discount sector. Lidl takes pride in providing top quality products at the lowest possible prices to all their customers across Europe. Since establishing themselves in the UK in 1994, they have grown consistently and today have more than 600 stores, and it appears that there are plenty more to come. Not sure that Lidl will qualify anytime soon as the best shopping destination for fashion. However, they are at least on the way and stepping into the market. Although they are primarily a grocery, it appears that clothing, footwear, and fashion accessories may be appearing more in the stores. We are not yet fully aware of the extent of the collection, but we are looking forward to learning more. If you are interested, you may want to view the best fashion shopping destinations in the consumer guide section here on Apparel Search. Katie Scott found something once. Something she didn’t know she was missing. After a long bout with uncertainty, anxiety, and fear, self-reflection led her to find peace through quiet; quieting her heart and mind. Meditation, prayer and reflection readied her mind for a revelation: There is peace through submission, great strength and faith. It allows the mind to turn its focus on spiritual fulfillment and let go of vanity. Cultivating an understanding that what is most beautiful in life is not material or social or cultural, but spiritual. Her art, informed by this idea, took a pivotal turn. Design for beauty’s sake, evolved into art with purpose. Katie Design Jewelry has become the creative outlet of this new peaceful perspective. Their line includes necklaces, earrings, bracelets, rings, and wristbands, handcrafted and adorned with gemstones. Gone now are the doubts and fear, replaced by a spiritual strength guided by faith in something bigger, something more. Each piece is dripping with wisdom, and injected with purpose. Strength often comes from resolve and commitment; This is where Katie Design Jewelry pieces take on a new meaning. Unlike most other jewelers their pieces are meant to provide support and bring peace as a visual reminder that we all are part of something greater than ourselves. This is a central part of Katie Design Jewelry's inspiration: To breathe function where there was once only form. Let their art be a beacon for renewed sense of spirit and a vehicle to redirect inner peace outwards. Scott’s designs are not merely metaphorically representative of her mind, but they have an ethereal construction. Her full moon wish cuff is a golden band with a diamond-encrusted moon on either end. The piece goes beyond having a beautiful look but it symbolizes the cyclical nature of the passage of time. When things are down and out, they can provide hope, or at the very least balance in the grounding reminder that life will go on. Katie Design Jewelry's refreshing perspective has been met with open arms by the fashion industry. After starting off as an interior design firm in 2005, Scott expanded into jewelry and has hit her stride. In the last decade, Katie Design Jewelry has gone from a single moment of clarity, to an immersive style reshaping the norms of the fashion and beauty industries in stores all across the country. Charlize Theron was photographed wearing Junk Food early yesterday in Los Angeles! The Mad Max: Fury Road actress sported her T-Rex Tank while grabbing food and drinks after a spin class (www.junkfoodclothing.com). This is the second time the fitness enthusiast has rocked this style while hitting the gym. Vera Wang’s Fall 2015 Bridal Collection will be at our flagship salon in Chicago for a special trunk show, Thursday, March 5th through Saturday, March 13, 2015. To make an appointment, call 312.379.5355 or visit their site to learn more. If you are not sure what a trunk show is, you can read the trunk show fashion term here on Apparel Search. View more bridal gown blog posts. Pirates of the Caribbean star, Orlando Bloom made quite the entrance at LAX while catching a departing flight on Monday. The actor kept it cool donning a blue jacket, dark denim pants, a button-up shirt and cardigan. 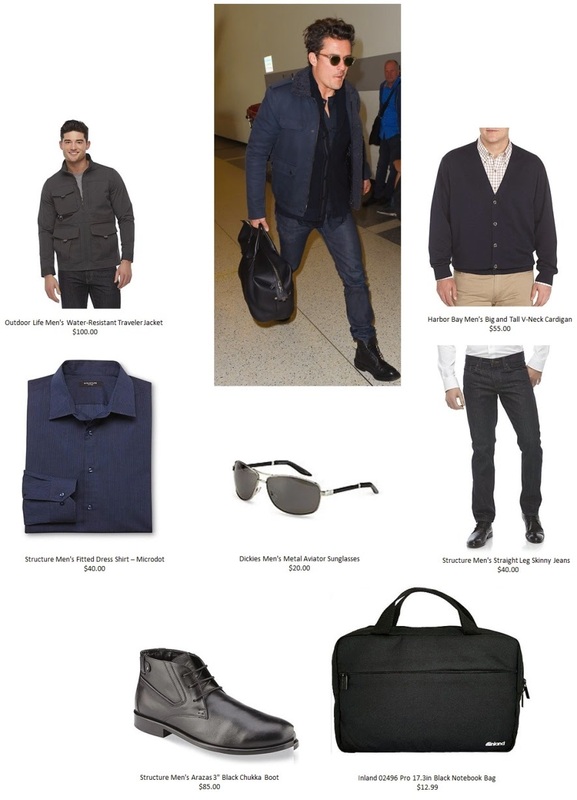 Sporting this dapper look, Bloom proves he is the captain of style on-the-go. For under $100, grab his look with pieces from Dickies, Harbor Bay, Inland, Outdoor Life, and Structure. Each of these items are available at Sears. 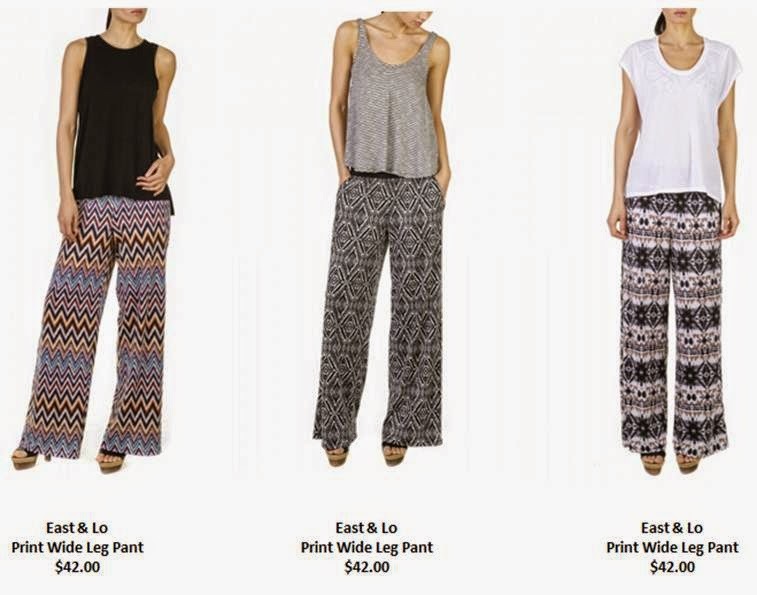 Say goodbye to your dull winter wardrobe and spice up your style with the essential pants for spring! Whether you are looking to rock the wide-leg fit, jogger or soft knit pants, this season’s offerings include a variety of styles in many striking prints. These looks from East & Lo provide combing comfort and style and are perfect to wear to your festive outings throughout the season! 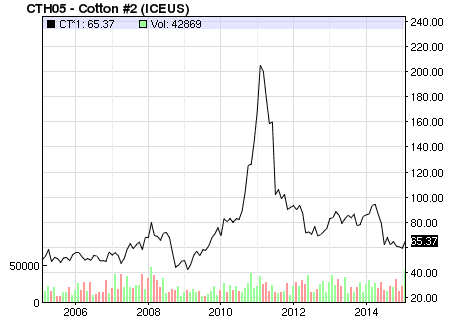 The cotton price chart has returned to what appears to be a more reasonable level. Does this mean that cotton prices are set to spike again? Dr. John Robinson in the Department of Agricultural Economics at Texas A&M University has written a nice article 2015/16 Fundamentals, Outlook, and Caveats which is a helpful read. Annual average gross domestic product (GDP) growth since 1970 as a proxy for long-term GDP growth. Population projections from the United Nations. A long-term cotton price trend equal to average relative cotton prices between 2003 and 2005; and Increases in the ICAC Textile Fibre Price Index in tandem with inflation. As you will see when you visit their website the Cotton Guide goes on to say, “World textile fibre consumption is projected to expand at an annual average rate of 4% to reach 70 million tons in 2010 and by 2.8% per year to reach 87 million tons in 2020. Lower rates of growth in world textile fibre consumption aremainly associated with lower world GDP growth (down from 5.3% during the 1960s to 3.3% during the 1990s) and lower growth of the world population (from 2.1% during the 1960s to 1.7% during the 1990s). Between 2000 and 2005, the average rate of growth of textile fibre consumption was 3.8%. World cotton consumption is projected to expand at an annual average rate of 2% to reach 26.7 million tons in 2010 and 32 million tons in 2020. Cotton’s share of the world textile fibre market is projected to decline to 37% in 2020.” Obviously, this may get adjusted over time by the Cotton Guide, so you should most definitely visit their site to get the most current information in case they have made adjustments. We retrieved above on February 24, 2015. If you know other resources to help the fashion industry gauge the changes to cotton prices, please share your resources in the comments area below. Learn more about cotton prices and relevant issues in our textile fiber section. Thank you for taking the time to read our textile fiber blog post. We hope that you have found this news to be informative. If you have comments or questions, please add your thoughts in the discussion area below. Fashion industry trade shows to mark on your 2015 calendar. SEEK Contemporary Fashion Trade Show - NEW ADDRESS! It's not just in the lagoons and salt lakes found flamingos and their long and elegant silhouette. They invaded our wardrobes. This summer, it's on the beach that we will find the bird with a bright pink. For large or small. This is the Flamingos Attitude. 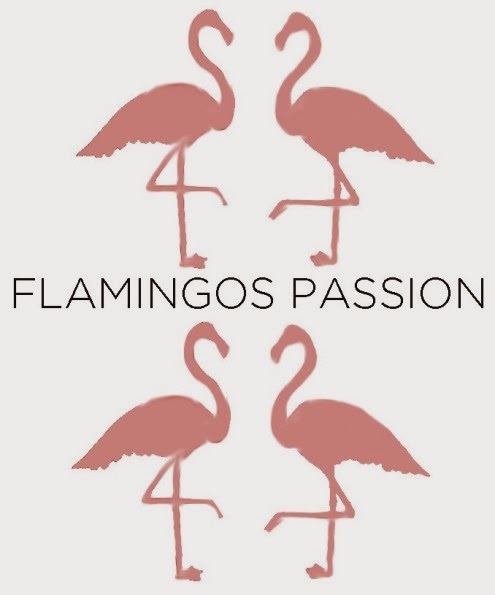 For girl, future mum, mum, we love all the grounds Flamingos by ultraviolet. On mint or black background, their slender silhouette gives pep to our swimsuits. Academy Award Best Supporting Actress Winner Patricia Arquette unveiled a global scientific breakthrough just before the annual Oscar ceremonies -the first-ever, world's largest lab-cultivated Pure Grown Diamond, which is indistinguishable from an earth-mined diamond, even under a microscope, yet costs 30 to 40 per cent less, according to the International Gemological Institute. Joining Arquette for the unveiling, were Grammy winner Natasha Bedingfield, NBC “Apprentice” star Kevin Jonas, "90210" cast member AnnaLynne McCord and other celebrities attending Hollywood's annual Pre-Oscar Charity Soirée. The company is working with several stylists whose clients will be on the Red Carpet, Sunday night. The world's largest Pure Grown Diamond is the result of a scientific breakthrough. It is 3.04 carats, priced at $23,000 compared to identical earth-mined diamond; priced at $40,000. The company has created thousands of sizeable carat, brilliant white, pink and yellow diamonds that cost thousands of dollars less than earth-mined diamonds. "During the past 70 years, many have tried but failed to grow scintillating, sizeable, colorless diamonds in the laboratory – until now," explains Dr. Devi Shanker Misra, PhD. He is a world-renowned physicist and inventor of the patented Pure Grown Diamond process. "No one, no company has achieved what Pure Grown Diamonds has accomplished -- culturing thousands of alluring diamonds that rival mined-diamonds, in every aspect." "Pure Grown Diamonds is changing the landscape of the mining and jewelry industries," says Misra. "Mining dramatically alters eco-systems and wild habitats, unlike Pure Grown Diamonds, which are marvels of technology that do not undermine the sustainability of the environment." Misra is a former physics professor at the Indian Institute of Technology, Bombay, Mumbai, India. He is the inventor of the patented Pure Grown Diamond process that cultivates incredible diamonds in a Microwave Plasma Chemical Vapor Deposition chamber from a small carbon seed. The earth's process of crystalizing carbon is exactingly replicated in state-of-the-art, high-tech facilities at Pure Grown Diamonds Singapore-based sister company IIa Technologies. The diamond seed is placed inside the chamber. Hydrogen and methane gases are introduced. A microwave generator pumps energy into the chamber that ignites a glowing plasma ball. Carbon molecules rain on the seed. Pure Grown Diamonds mature within six to 10 Weeks. One carat round diamonds are the most popular for engagement rings in the U.S. Pure Grown Diamonds quality one carat stones are priced from $1,000 to $3,000. A one carat earth-mined diamond starts at $5,000 and can cost more than $10,000. Most Pure Grown Diamonds are E-H color and VVS1-VS2 clarity certified. The highest colorless rating is D. The highest clarity rating is VVS1. Many of the company's jewelry pieces are priced as low as $300. 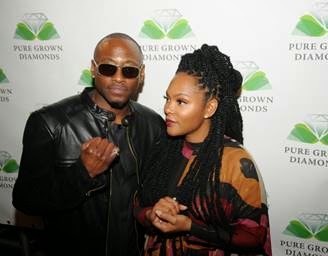 "Pure Grown Diamonds are not artificial; not synthetic; not cubic zirconium; not costume jewelry. They are diamonds," emphasizes Bissell. The only difference between a mined diamond and a Pure Grown Diamond is that one is grown in a lab and the other is grown under the earth's crust, according to Misra. The difference between earth-mined diamonds and Pure Grown Diamonds are detectable only by highly sophisticated spectroscopic equipment and from Pure Grown Diamonds' laser-scribed identifications on the stones' girdles that read, "Laboratory Grown." Laser-scribing is a voluntary policy of transparency that clearly identifies the source of the diamond. Thank you for taking the time to read our jewelry industry blog post. We hope that you have found this news to be informative. If you have comments or questions, please add your thoughts in the discussion area below. Jessica Lowndes was photographed wearing TACORI the other night to the 23rd Annual Elton John AIDS Foundation Academy Awards Viewing Party in Los Angeles. She was strikingly gorgeous. The actress accessorized her chic black and white ballgown with a TACORI 18k White Gold 0.35 Diamond Eternity Band ($2,900; style no. 41-1.5 ET W; www.tacori.com). Do you remember what Jessica wore last year to the event? Yes, she was beautiful last year as well. See Jessica Lowndes at last years Oscar viewing party here on the Fashion Blog. She is definitely one of our favorites. Learn more about the fashion at the Academy Awards. The beautiful and glamorous actress, film director, and wife of legendary actor Robert Duvall, Luciana Duvall hit the Oscar red carpet in a gorgeous peach sequined ball gown by Lebanese designer Jad Ghandour. The gown's striking plunging neckline and sequined embellishments drew many comparisons to Jennifer Lopez's Oscars red carpet look. 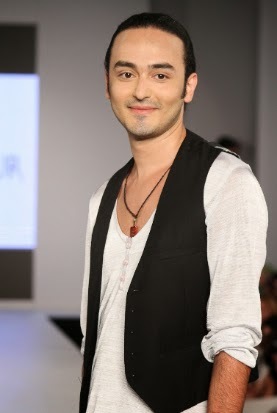 Jad Ghandour is a Lebanon born fashion designer who's ornate yet sleek styles have been worn by the likes of Fergie, Giuliana Rancic, and Rihanna. Jad Ghandour draws inspiration from architectures, artistic expression, and French influence. Thank you for taking the time to read our fashion event blog post. We hope that you have found this news to be informative. If you have comments or questions, please add your thoughts in the discussion area below. Yes, that was a lovely dress worn by Rita Ora at the Oscars. During her performance of the Oscar-nominated song, Grateful, at the Academy Awards Sunday night, Rita Ora wore a custom Vera Wang Collection dress. The black and white, v-neck strapless, high-low gown featured a silk faille bodice and a hand-draped, silk gazaar skirt. Decked out in a billowing creme ball gown, with a form-fitting black top, Ora was a statuesque figure on a rising platform as she performed the "Best Song" nominated ode to hard-won appreciation, "Grateful". For those of you that really follow Rita, movies and the music industry, you may know that the ballad appears in the movie "Beyond the Lights" which was directed by Gina Prince- Bythewood (born with the name Gina Maria Prince). Rita was not in the movie, but her song was in the film. You can also go behind the scenes with Rita at the Academy Awards in their feature on vogue.com. Below is the link to the article. View more of the Vera Wang Collections at her website. See more of Rita Ora here on the Fashion Blog. The dress worn by Gwyneth Paltrow this year to the Oscar awards was a questionable selection. However, the jewelry she selected has received only praise. Academy Award Winning Actress & Presenter, Gwyneth Paltrow, wore Anna Hu Haute Joaillerie's Fire Phoenix Earrings and Pétales d'Amour Ring. These one-of-kind earrings feature two pear-shaped cabochon Rubellites weighing 101 carats and two pear shaped Rubellites weighing 22.88 carats, set in a blaze of white and yellow Diamonds, blue, pink and purple Sapphires, Spinels, Paraiba Tourmalines and white gold. This exquisite one-of-a-kind ring features a rare pigeon blood Burmese Ruby weighing 6.27 carats, pink Diamonds, and brilliant cut white Diamonds, set in rose and white gold. Academy Award Presenter, Naomi Watts, wears Anna Hu Haute Joaillerie's Wallis Simpson Bracelet and Modern Art Deco Earrings in Sapphires. This modern pair of Art Deco inspired earrings features oval Sapphires weighing over 50 carats, purple Sapphires and round brilliant cut Diamonds set in white gold. Inspired by the Duchess of Windsor, this one-of-a-kind bracelet features 5 baguette cut white Diamonds weighing over 10 carats and 380 brilliant cut white Diamonds set in white gold. 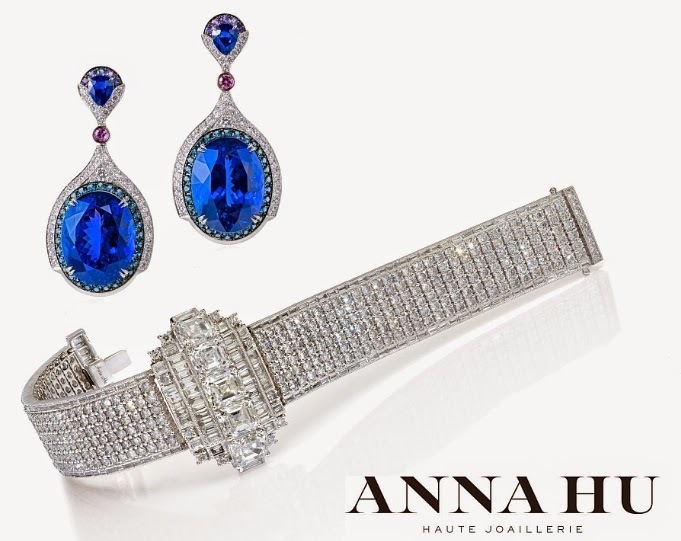 Anna Hu founded her namesake brand, Anna Hu Haute Joaillerie, at the age of 30 and opened her first flagship boutique in New York's Plaza Hotel in 2008. She has since opened flagships in Shanghai's renowned Bund area and most recently at the luxurious new Mandarin Oriental Hotel in Taipei. She is the only Asian American jewelry designer to work exclusively with French-trained artisans to create one-of-a-kind artworks featuring the world's rarest gems. Highly educated in the United States with degrees from Columbia University, the Gemological Institute of America, Parsons School of Design, and NY's Fashion Institute of Technology, Anna is as much a scholar as she is an artist and her exquisite designs reflect that unique sophistication. Her work combines Eastern and Western influences, often inspired by classical music and nature, with particular reference to Impressionism and Art Nouveau. 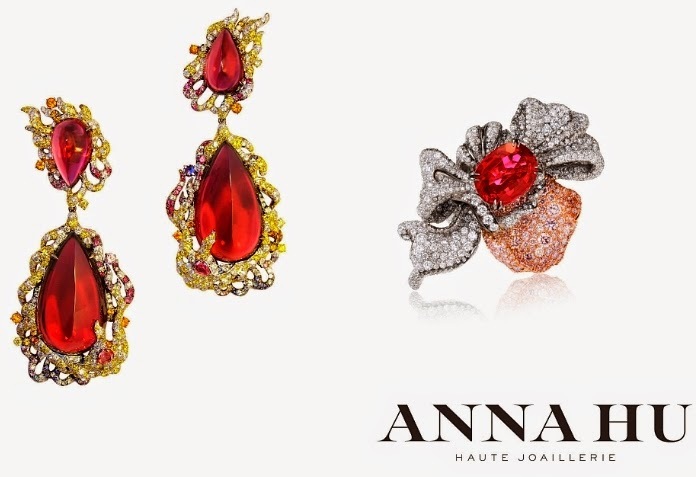 Anna presented her first global exhibition at the Louvre's Les Arts Décoratifs in Paris in July 2012 and launched her first book, "Symphony of Jewels, op. 1," published by The Vendome Press and Thames & Hudson, that September. It features 100 pieces from her illustrious body of work. In 2013, she broke and still holds the world auction record for the highest price paid for a contemporary jewelry designer (Christie's Magnificent Jewels, Geneva). Anna is recognized for her artistic and technical innovation and has received awards both nationally and internationally. Her jewelry has been worn by Madonna, Gwyneth Paltrow, Natalie Portman, Scarlett Johansson, Drew Barrymore, Hilary Swank, Oprah Winfrey, the acclaimed contemporary artist Cindy Sherman, and the Queen of Bhutan. She's been featured in The Wall Street Journal, W, ELLE, The New York Times, VOGUE, InStyle, Robb Report, The Financial Times, Vanity Fair, and other leading national and international publications. For those of you that have an endless desire to read about jewelry, you may want to continue reading about bracelets. You are welcome to visit the bracelets blog post section for additional reading opportunities. Benedict Cumberbatch's wife Sophie Hunter was photographed wearing Seraphine recently in Los Angeles! The newlywed showed off her baby bump in the Kirsten Dress as she enjoyed the afternoon with her husband ($225; www.seraphine.com). Jillian Rose Reed was photographed wearing Carlo Pazolini shoes and a clutch on the red carpet at the Elton John Aids Foundation Academy Award Viewing Party! 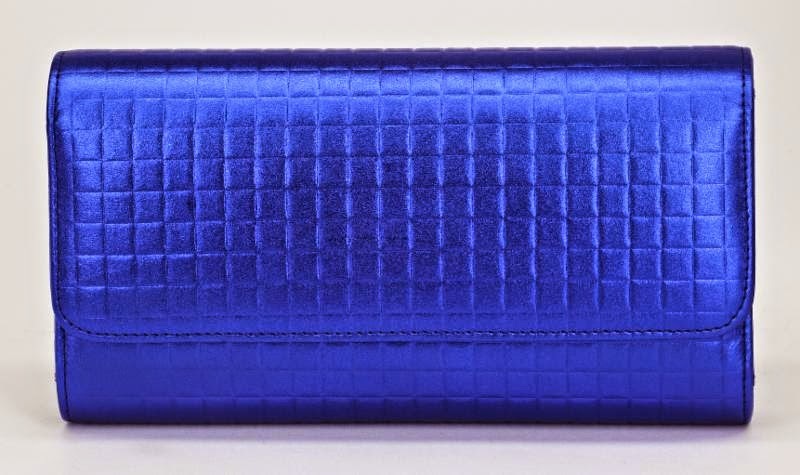 The MTV Awkward actress accessorized her colorblock dress with Carlo Pazolini's Electric Blue Clutch (price available upon request) and Blue, Black and White Open Toe Heels (CL-SIM1-19, $475; www.carlopazolini.com). After a very prolonged period of negotiations, the Pacific Maritime Association (PMA) and the International Longshore and Warehouse Union (ILWU) announced Friday February 20, 2015 that they have reached a tentative agreement on a new five-year contract for the workers at all 29 West Coast ports. The question is, “how much money did this port issue cost the fashion industry?” Although we do not know the exact answer to this question, it is fair to say that this issue had a hefty price tag for the apparel industry. The delay of freight had a negative impact on various segments of the industry. Manufacturers, wholesalers, and retailers of clothing, footwear, and accessories had each been effected by the slowdown at the ports. Clothing factories may have received late payments from their buyers when freight did not arrive to their final destination in time. Wholesalers may have received charge backs from fashion retailers when orders had been delivered later than originally agreed. As freight was delayed at port, shipments to the clothing stores had arrived later than originally needed which possibly resulted in lost retail sales. These are only a few of the possibly ramifications. It would be difficult to determine the exact amount of money lost by the apparel industry resulting from the port labor dispute. However, Apparel Search is relatively sure that it was rather substantial. After a prolonged period of negotiations, the Pacific Maritime Association (PMA) and the International Longshore and Warehouse Union (ILWU) announced Friday that they have reached a tentative agreement on a new five-year contract for the workers at all 29 West Coast ports. The five-year deal between the International Longshore and Warehouse Union and the Pacific Maritime Association, representing shipping companies and port terminal operators, involves 29 ports from San Diego to Seattle. They handle about one-quarter of all U.S. international trade, much of it with Asia. You can learn more about apparel industry freight issues in the shipping section. Read more of our apparel industry blog posts. Gina Rodriguez was photographed wearing TACORI and Andi Alyse jewelry a few days ago at the Gold Meets Golden event at Equinox Sports Club in Los Angeles! 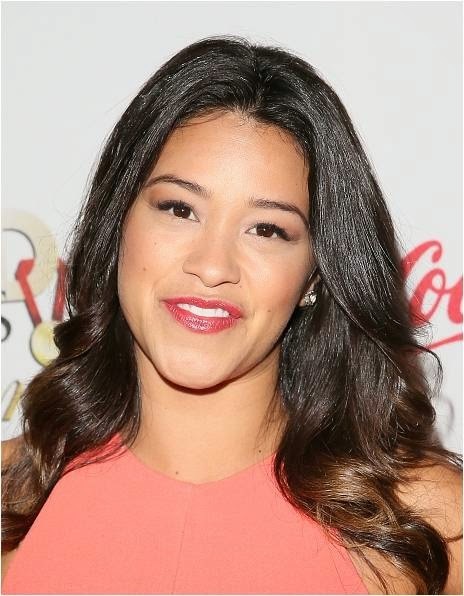 The Jane the Virgin star accented her peach ensemble with a TACORI Platinum/18k Yellow Gold 2.40ct Diamond Band (style no. 2706 Y; $14,230), Prasiolite Round Stud Earrings (style no. SE10512; $270; www.tacori.com) and an Andi Alyse White Gold Diamond Bracelet ($1,750; www.andialysejewelry.com). At last night's 87th Annual Academy Awards® in Los Angeles, Brooks Brothers, the iconic American brand was seen on the red carpet at the entertainment industry’s biggest and most eagerly anticipated event. Matt McGorry, star of ABC’s How To Get Away With Murder and this year’s host of The Oscars Backstage will wear a Black Fleece by Brooks Brothers Jacquard Tuxedo, a bib front formal dress shirt and matching jacquard bow tie. Marc Malkin, Senior Editor & Writer for E! Online, selected a custom Black Fleece by Brooks Brothers Tuxedo with tipped grosgrain lapel, a slim pique bib front tuxedo shirt and grosgrain formal tie. Graham Moore, nominated for Best Adapted Screenplay for The Imitation Game, will wear a Brooks Brothers Fitzgerald Tuxedo in navy with grosgrain lapel, a bib front formal dress shirt and bow tie. Brooks Brothers, America’s oldest retailer, has a tradition of dressing some of the country’s greatest cultural icons such as F. Scott Fitzgerald, Clark Gable, Andy Warhol and Katherine Hepburn. The company continues to dress many of today’s leading celebrities and frequently collaborates with costume designers from many notable film and TV productions such as the multiple award winning drama Mad Men and Baz Lurhmann’s The Great Gatsby- last year's Oscar winner for Best Costumes. Brooks Brothers tailored clothing, shirts, and ties are proudly made in America. Catt Sadler wore Andi Alyse jewelry yesterday at the 87th Annual Academy Awards! The E! News host stunned on the red carpet in a blush gown accented with a Rose Gold Diamond V Band ($545, www.andialysejewelry.com). Additionally, E! News co-host and fashion expert, Orly Shani sparkled in TACORI diamond rings on the red carpet (www.tacori.com). Miles Teller was photographed wearing a Junk Food t-shirt the other day in West Hollywood! The Whiplash actor rocked his NFL Philadelphia Eagle Tee while attending Kari Feinstein's Style Lounge at the Andaz West Hollywood (www.junkfoodclothing.com). Thank you for taking the time to read our fashion blog post. You may also have interest in seeing Miles Teller wearing a Mickey Mouse t-shirt previously posted here on the fashion blog.